My mother would have turned 98 today. Fortunately, she did not have to face that birthday. She succumbed to Alzheimer's Disease at age 89 in 2008. To live longer in her state of incapacitation would have been hard for her to bear... though she did feel a wistful sense of loss at leaving this earth. 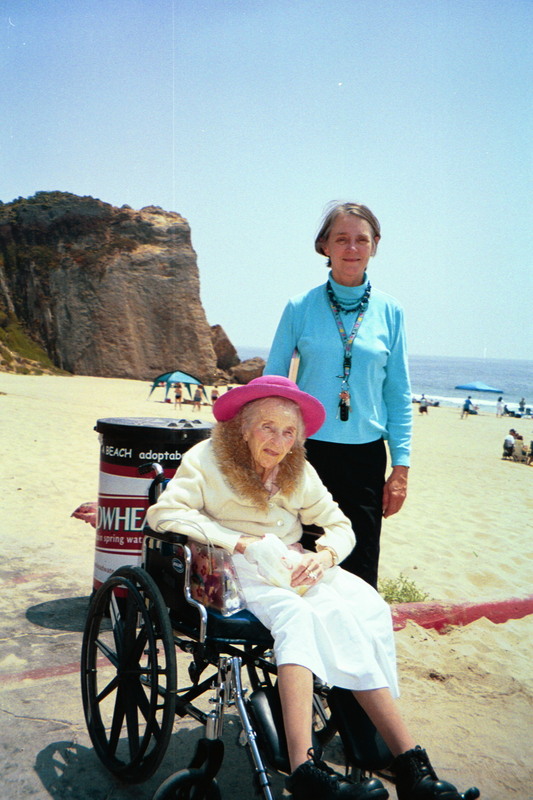 Her friend Janet Krause did turn 98 this year. her greatgrandson Seth, age 3. I appreciate knowing that a dear friend of my mother's is still alive and remembers Evelyn and their days together at Children's Hospital in Denver training to be nurses, graduating in 1941. Out of the 28 who started in 1938, only 19 completed the program and became Registered Nurses. Several of them went on to serve as military nurses in World War II. "Some of the challenges include poor eyesight and issues with memory. Some days can be more challenging than others. Overall, though, my health is pretty good for a 9-year-old. My many blessings include being a resident at Countryside Living Retirement and having so many wonderful friends. My daughter retired in July, so she has been able to visit more often along with her husband Deen, granddaughter Jenny, and great-grandson Seth (3). I am planning to go to Denver for Christmas so I will be able to visit most of my family at that time. Other blessings include two very dear friends who come from out of town regularly to visit and help, Linda Ripley and Barb Schommer. May God's blessings fill your heart this Christmas! I do think of you, Anne--I am getting too old. JK"
The last line is hand-written. What a blessing to have one's mental faculties at age 98. My mother inspires me to do all I can to slow or avoid my own development of Alzheimer's Disease. Trying to keep my weight down to about 150 pounds. Trying to walk 10,000 steps per day as monitored by my Fitbit. Taking occasional hikes. I used to jog twice a week, but I have let that lapse. Avoiding sugar except when it comes in natural forms with milk or whole fruit (not juice). Getting 7-8 hours of sleep most nights. I need to raise that to 8-9.